Comics about Batman are among the most ancient and fahmous on the planet Earth. 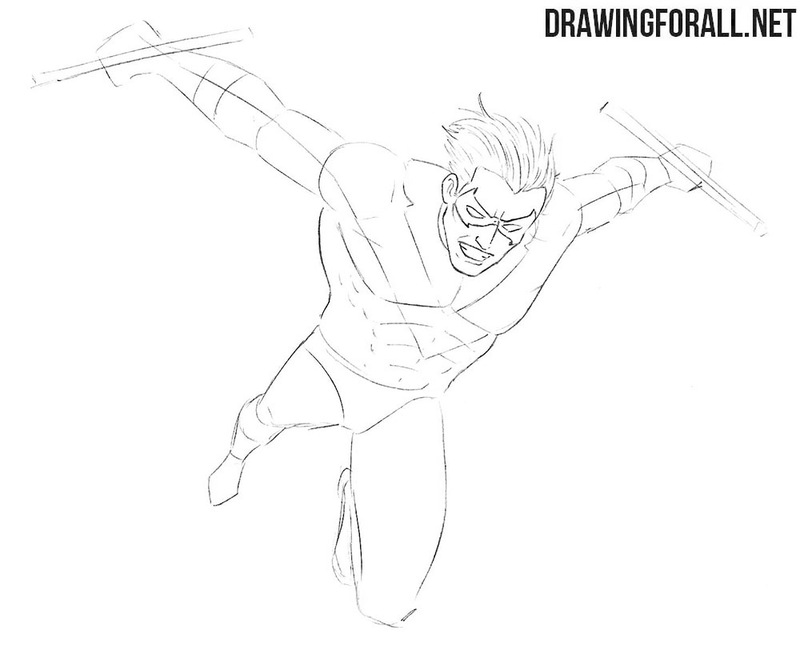 In our previous lessons we showed how to draw Batman, Robin and Catwoman, and today we want to show how to draw Nightwing. We will start with the skeleton of Nightwing, which is in a rather unusual position. First of all, we outline an oval for the head and a simple line for the spine, on which we sketch out the outlines of the chest and pelvis. 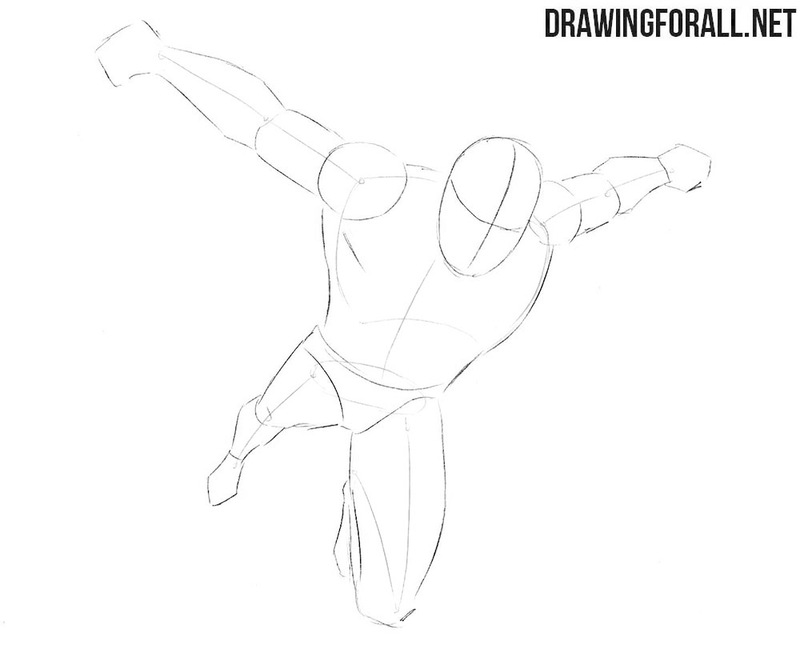 Using simple lines outline the arms and legs of the superhero and proceed to the second step. We sketch out two simple lines on the head that will help us draw the details of the face, such as the eyes, the nose, and the mouth. Next we sketch out the outlines of the torso (from this position the neck is not visible), arms and legs with the help of very simple geometric figures. First of all, the head on which we sketch out a mask, nose and mouth. Further outline the ears and hairstyles. Next, go to the torso sketching the lines of the Nightwing costume. In the same step we will outline two sticks in the hands of our superhero. This step will be devoted to the fact that we will draw the details of the head of Nightwing. Sketch the eyes and outlines of the mask around the eyes. Next, draw the nose and mouth. After this sketch out the outlines of the jaw, ears and hair. Do not forget to remove unwanted lines from the head. Now it is time to draw the Nightwing body. 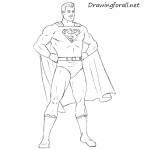 First of all, we sketch out the outlines of trapezoids and wide pectoral muscles of the superhero. 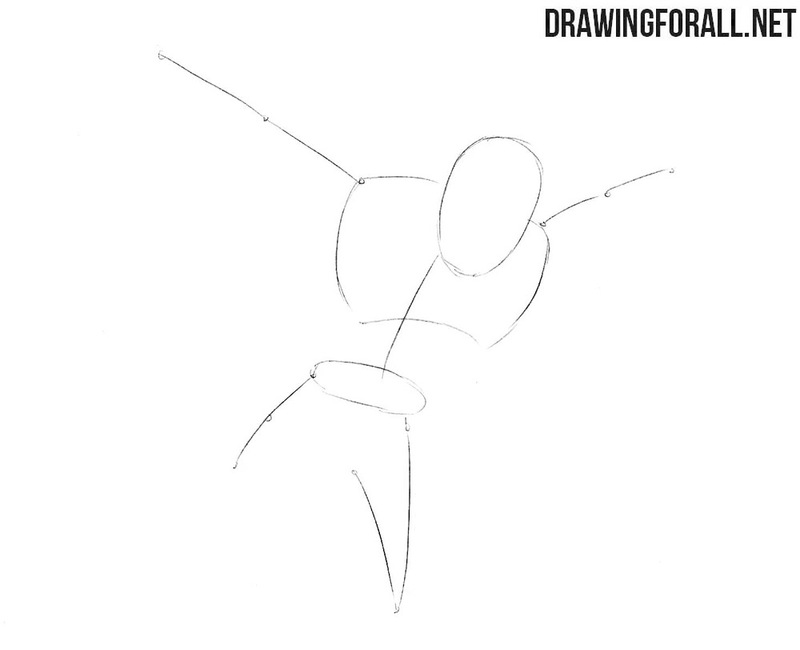 Next, draw the outline of the torso and draw the abdominals. Remove unnecessary guidelines and draw the V-lines on the chest. Now is the time for the arms of our hero. Here, continuing the trapezoid lines, we will need to draw the deltoids, triceps, biceps and forearm muscles. Further we draw fists with the sticks clamped in them. By the way, do not forget to draw the lines of the costume on the arms. In the previous steps drew the upper part of the Nightwing body in detail, and in this step we will deal with the lower part of the body. Continuing the lines of the torso, let’s draw the outlines of our hero’s muscular legs. 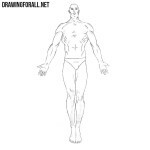 In the same step, draw the lines of muscles and knee joints. And the very last step of the lesson about about how to draw Nightwing, which will be devoted to the shadows. First of all paint the mask. Next, paint over the hair, as shown in our example. Next, let’s add some shadows using dense hatching. 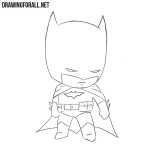 So, a drawing lesson about which superhero would you like to see on drawingforall.net? We are waiting for your suggestions on the topic of future drawing lessons either in the comments section of this article or on our pages in social networks.